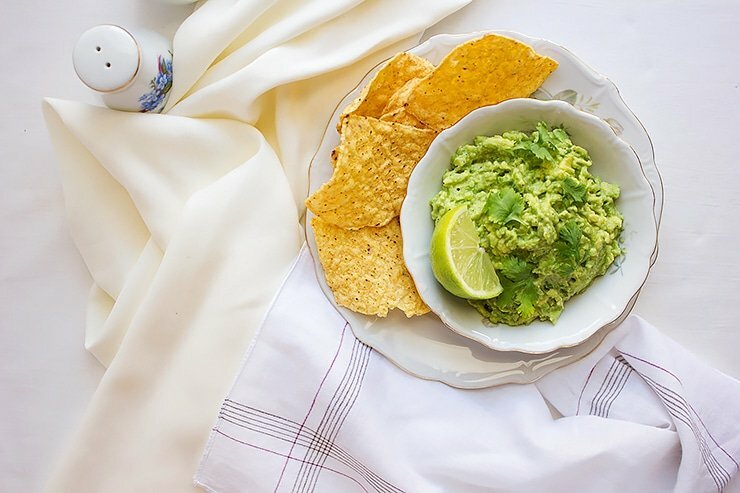 There are many Guacamole versions out there, but for me, this simple guacamole recipe is what I always make. Don’t let the humble ingredients fool you; this guacamole is bursting with amazing flavors coming from fresh avocados, onion, lemon and much goodness. I don’t regularly use avocados in my recipes, and when I do, I use it in making sweet dishes or smoothies. Making guacamole was never on my list to make nor was I excited about it. The idea of having avocado in a savory dish wasn’t pleasant to me in the beginning. When at the restaurant, my friends always asked for this amazing dip and praised its texture and the flavor; I thought why not give it a try and it is now my favorite besides Hummus. This Mexican delight tastes amazing with fried tortilla or when served along with some Mexican Chicken and Rice. If you never had Guacamole before, let me tell you that it tastes like an Indian chutney that consisted of yogurt, green chili, and coriander. However, the guacamole is richer and tastier. You hardly need 10 minutes and that includes chopping and mixing time. 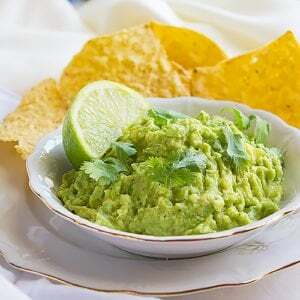 It is ideal to serve guacamole to your guests while you get busy preparing the rest of the dinner menu in the kitchen. You need to make sure that the ingredients are fresh for preparing this mind-blowing dip. Maintaining the vibrant green color of guacamole is a challenge. Avocado turns brown in no time. Therefore it can turn darker in color sooner than you think. To keep it green longer read the tips below. To keep it green and looking all fresh, you can do three things. 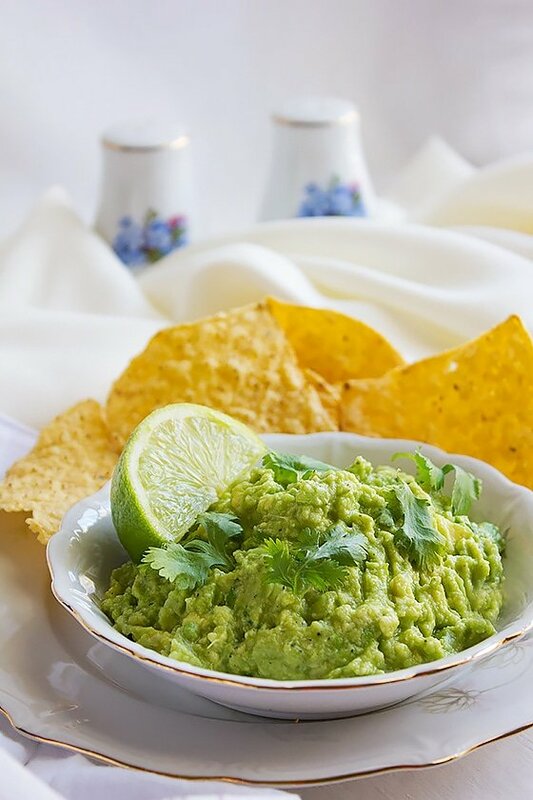 Place slices of lemon or lime over the guacamole, this looks good when you are having a party and will keep the dip green. Cover with plastic wrap, allow the wrap to touch the surface of the guacamole and refrigerate. Squeeze lemon juice over the guacamole, wrap in plastic wrap and refrigerate. Transfer the dip to a Ziploc bag, take out as much air as you can, and refrigerate. 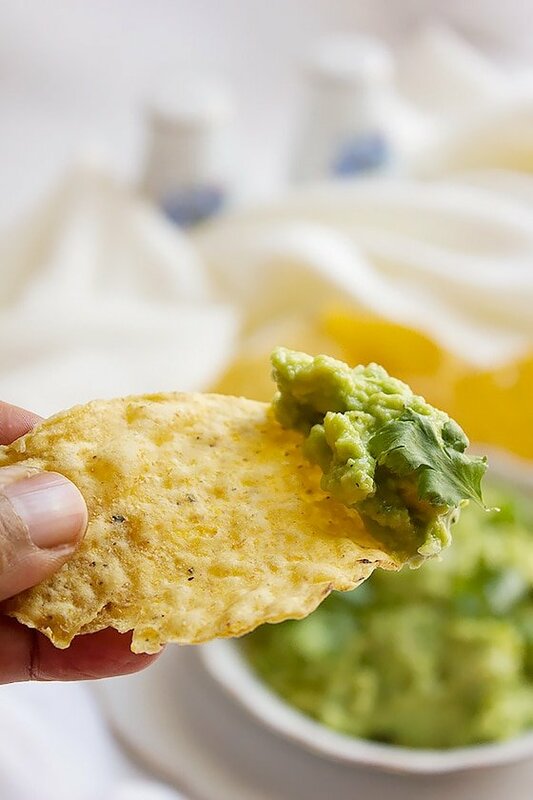 Get your ripe Avocado and few ingredients mentioned below, make this simple but flavorful dip, enjoy it with vegetables or tortilla chips. Authentic Mexican recipe made with simple, fresh ingredients. 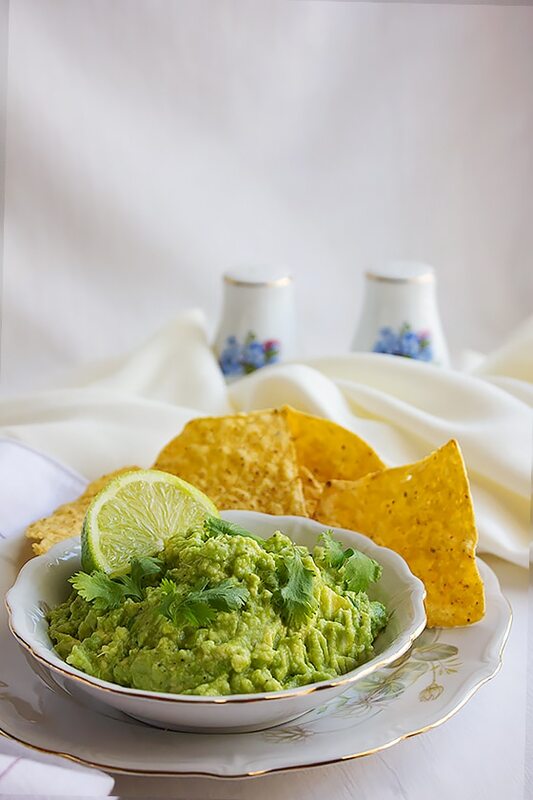 Homemade Mexican Guacamole, perfect appetizer and a side dish. 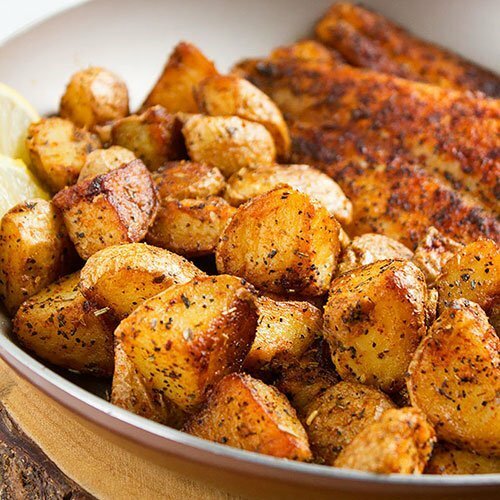 In a bowl, add all the ingredients and mix well. Garnish with cilantro leaves. 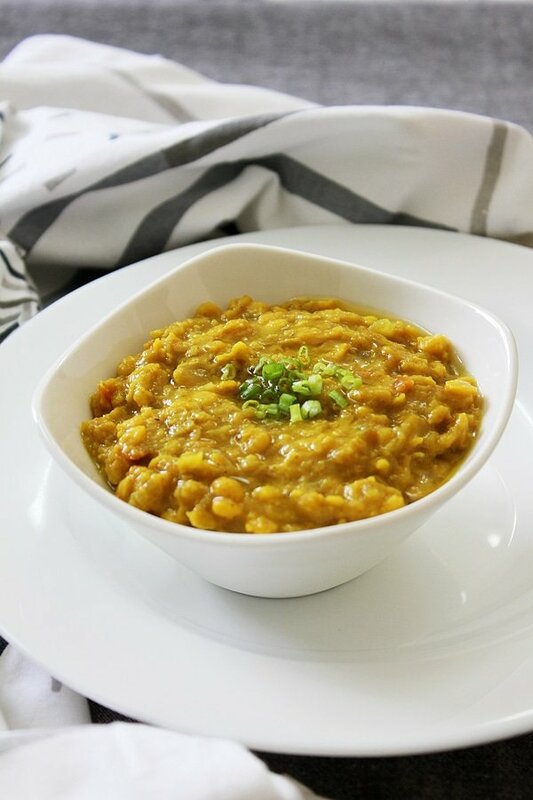 One of my favourite dips…deliciously creamy and healthy!